This year marks the fifth anniversary of the devastating nuclear disaster caused by the Fukushima Daiichi Nuclear Power Station (NPS) accidents. ‘Fukushima’ brought human tragedy and unprecedented economic loss to Japan. Radiation is still leaking. Some 150,000 evacuees are still unable to return to their contaminated home towns. The government declared a state of nuclear emergency is still in effect. ‘Fukushima’ is not over and will continue for more than a century, much like Chernobyl. Although triggered by gigantic tsunamis, following the Great East Japan Earthquake that occurred March 11, 2011, ‘Fukushima’ was a man-made disaster caused by the government and the NPS operating company’s gross negligence in preparing for severe accidents, which are easily predictable in this natural disaster-prone country. Stopping the radiation leak, cleaning ever-increasing contaminated waste, recovering damaged communities and the ongoing decommissioning processes are largely the government’s responsibility. These tasks will take decades. The government has not provided a valid scenario nor disclosed estimated costs. ‘Fukushima’ has unveiled that the NPS is unsafe and potentially dangerous to the entire planet and people worldwide. NPS-generated electricity is neither cheaper nor cleaner than any form of renewable energy. The major lesson is that government must continue to prepare for the potential risks and crises of all Japanese NPS until they are decommissioned and buried in final storage. The world does not yet possess the necessary technology or have any feasible storage available for terminating the use of NPS. Preparedness means 1) the government makes emergency response management plans and informs citizens and 2) local citizens near the NPS must be provided with awareness education on NPS risks, including occasional drills for evacuation. This columnist will reflect on the actual state of preparedness in her own hometown. For understanding the context of the article, the “post- Fukushima” governance is briefly explained. After ‘Fukushima,’ all remaining 50 NPS reactors in Japan were suspended for reassessment by stricter safety rules from the newly established Nuclear Regulation Authority (NRA) before reuse. Hamaoka NPS, in the forecasted severe earthquake zone including Shizuoka (author’s hometown), was immediately suspended. The NRA has since instructed NPS operators regarding cleaning damaged NPSs, sealing radiation leakage and decommissioning the NPSs. So far, all six reactors of Fukushima Daiichi, three reactors at Mihama and two in Hamaoka are being decommissioned. The NRA has 22 regional offices near all NPS sites (see the figure 1). These offices have the responsibility of providing nuclear operators with instructions on emergency preparedness and response. However, the NRA has no jurisdiction over the emergency management of local governments. In Japan, local governments (two tiers: prefectural and municipal governments) take primary responsibility by law to prepare emergency management plans for ensuring the safety of local residents. “Post-Fukushima” Japan has survived without NPS-generated electricity for five years. The majority of citizens are still against the use of NPS. However, in 2014, the government adopted a policy to resume the operation of NPSs under the condition that the NRA provides a reuse permit. As of now, 25 NPS reactor operators have requested NRA permits, including two from Hamaoka. So far, two reactors in Sendai were granted permission and recently resumed operation. 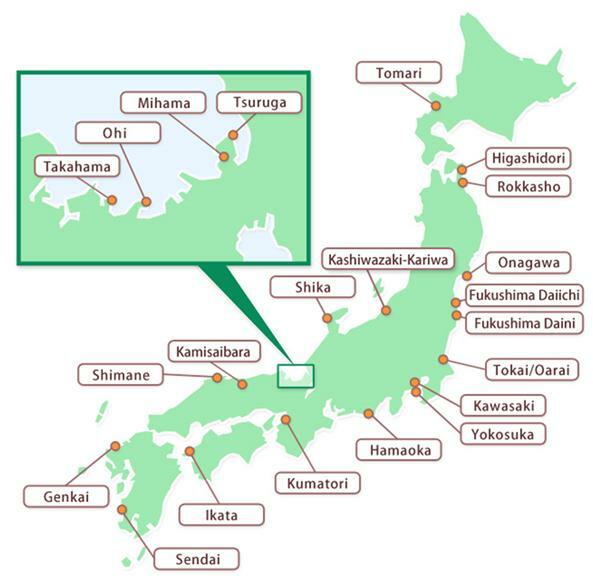 In addition, two reactors in Takahama have been given permits to operate. The national government’s decision to resume use of NPS is without sufficient preparedness to nuclear emergency response management plans, which are left to the local government. Concerned local nonprofit organizations and citizens often organize anti-NPS resumption walks and talks. For example, Hiroaki Koide, prominent researcher on the safety of NPSs, and former Prime Minister Junichiro Koizumi organized such an event in Shizuoka in late 2015. Each year some nuclear disaster escape drills have been organized in municipalities near Hamaoka based on the local and municipal nuclear emergency response plans. On Feb. 3, 2016, the Shizuoka prefectural government organized evacuation drills in several municipalities within the most critical 31 km zone from Hamaoka. In each drill, only a few hundred residents participated while 1 million people in the zone are in need of forced evacuation at emergency. Residents were not well-informed of the drills. Adequate awareness education on nuclear risks and crises has not been given. Some municipalities criticized prefectural plans due to a lack of concrete evacuation plans. While the government continues to ignore lessons from Fukushima, “post-Fukushima” will persist. Besides, many countries currently choose the use of NPS electricity. Unfortunate local citizens living near a NPS can only prepare self-help measures for survival and pray! Author: Itoko Suzuki, Ph.D. in public administration is a retired senior citizen of Japan. After a 30-year career with the United Nations program in public administration, including a managerial stint, she taught 10 years at a few Japanese universities, including six years as a professor of Ritsumeikan Asia Pacific University. She can be reached at [email protected].